Citrus fruit have many uses that go beyond the table. From lemon juice in cleansers to citrus essential oils in precious perfumes, citrus is used in many ways in items that touch our daily lives. Whether you are looking to DIY, or just learn a few tricks with citrus fruit and their essential oils, here are some ideas to try out. 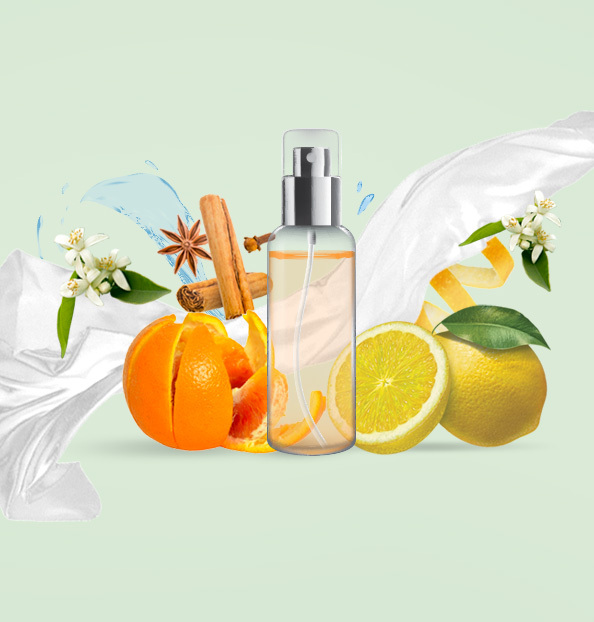 Make your own air freshener by adding citrus essential oils to a spray bottle with water, shake and spritz. Drying citrus slices and peels is easy and can be used for decorations, garlands, cakes, and as fruity infusions. Rubbing lemon juice on faucets can remove lime scale and water stains. Dull white shirts can be brightened by soaking them with a mixture of equal parts lemon juice and water. An all-purpose cleaning solution can be made by mixing lemon juice, vinegar and water in a spray bottle. Save the peels from your citrus and bake them in the oven at 180°C to freshen up the kitchen. The scent will take away any funky smells. Do like the Japanese - take a hot bath with floating whole and cut yuzu on a cold winters night to soothe the body and mind. Our citrus salad recipe makes use of the best flavours of oranges – find out how to make it! Here are some other recipes to inspire, using lemons: sardines beccafico, bresaola roulades, marinated sardines and seafood salad. Lime is an essential ingredient for any good bartender, discover some for yourself with our fresh mocktail recipes in our Mixart column.